This starts off the moon rise for April. Tomorrow will be the Full Moon Rise which I haven’t decided where I’m going to shoot yet. 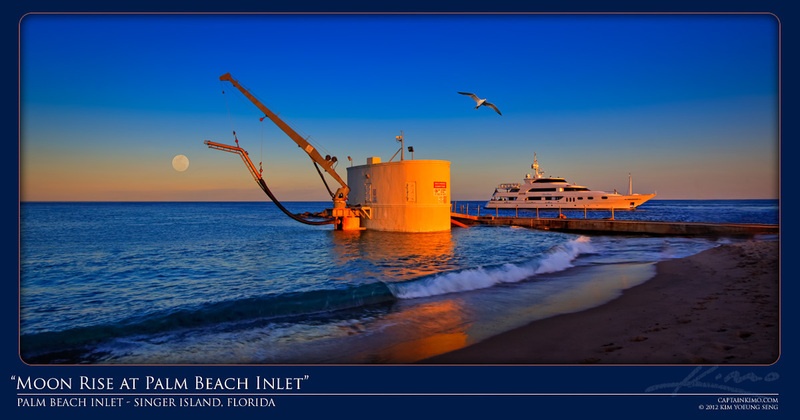 This photo was shot at the Palm Beach Inlet also known as the Lake Worth Inlet. I shot this with my wide angle so I had to digitally enlarge the moon a little to give it the same feel when I watched it rise this evening. The tern was actually flying around but that was superimposed from another exposure. I decided to add the bird in for more of beach feel. As for the yacht, it was there. This was a 4 exposure HDR tone mapped in Photomatix. The 3 typical exposures and the fourth shot for the wave.